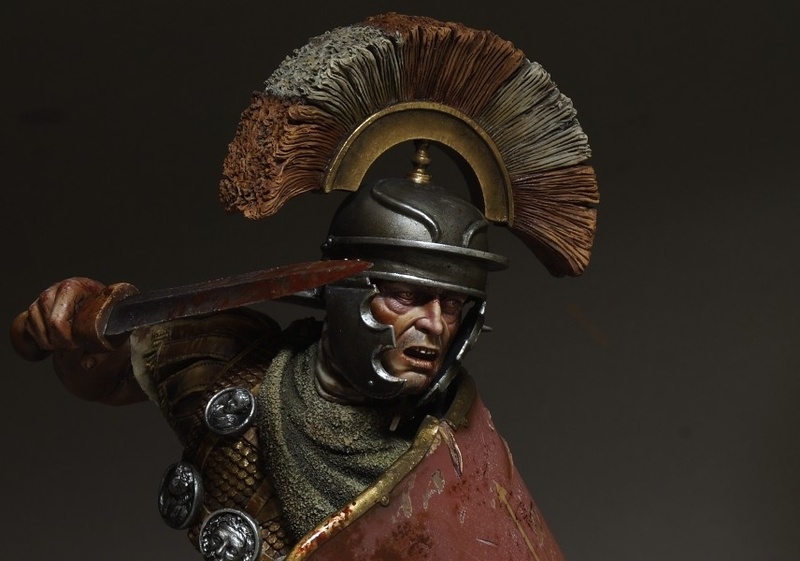 Hi, so goes Roman soldier. I enjoy very much. The miniature is sculpted great and the paint is amazing. You did a very real looking bust. I like that there is blood in the sword. Dear Sergey, he is so realistic. Fantastic work! Really cool and I love to see it so alive in your unique realistic style of painting, A true joy for the eye! This is my taste !! I love the way you paint.